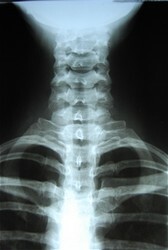 X-rays are not always necessary for proper diagnosis and treatment. If the doctor does believe they are needed you will be referred to a local radiology facility. This assures the highest quality films along with review of them by a board certified radiologist. Depending on the condition and patient need Dr. Platt may also refer for MRI, C-T Scan or other appropriate advanced imaging.